Ernest George Bruhn volunteers for service in the Royal Australian Air Force in 1942 at the age of 50 years. 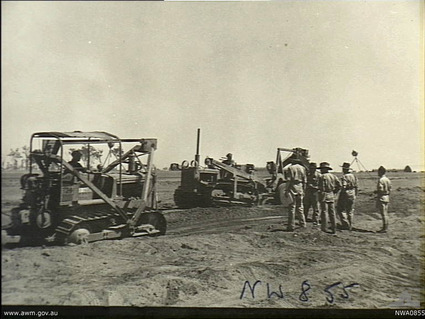 Attached to the 9 Airfield Construction Unit, he is involved in the construction and maintenance of airfields in mainland Australia in 1942-43. He enlists for the Royal Australian Air Force at No. 1 Recruitment Centre in Melbourne on 6 July 1942 and is enlisted as a General Hand Works in Group Five with rank as Aircraftman 1st Class (AUS58681). He is transferred to No. 5 Recruitment Depot.